With the advent of the new Information and Communication Technologies (ICTs), and the accelerated development of the urban centres, a debate arose on how to use ICTs in order to improve the development of cities in order to make them “intelligent”, what the doctrine has been calling smart cities - SC. Having this in consideration, this paper aims to search for the existence of studies analysing indicators for smart cities. 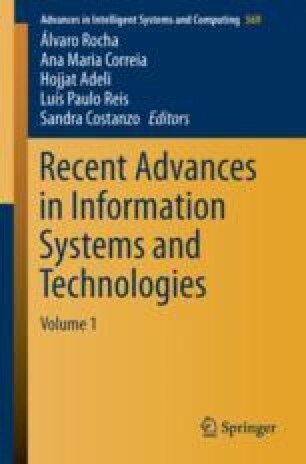 The operationalisation of this work followed the structure of an original paper and focused in bibliometric and systemic analysis. This kind of work is useful as guideline for the development of projects, indicating new trends for future research and identifying the methods of research used in each area. From the research that was done it may be verified that studies referring indicators for smart cities are rather incipient, and for that reason it may be foreseen an opportunity for the development of new researches. Our thanks to the CAPES Foundation, Ministry of Education of Brazil, for financing this research, and also to the CIIDH-Interdisciplinary Research Center in Human Rights, and to the Algoritimi Centre, both at University of Minho, for supporting this research. The work of Marciele Berger has been supported by CAPES under Grant nr. BEX - 1788/15-9.